After conquering Mars and the Moon, ISRO is ready to go way ahead to study the dynamics of Sun. Aditya-L1 is said to be India’s maiden mission to the sun and it will be launched in 2019. The news came from the International Seminar on Indian Space Programme held by ISRO which lasted for two days. As per one of the officials, this solar mission of ISRO is to study the ‘dynamic processes of the Sun’ and to gain insights over a few unanswered questions in solar physics. The satellite which is carrying six payloads will be launched from Sriharikota in Andhra Pradesh from the PSLV – XL launch vehicle. The satellite will be launched from a halo orbit around the Lagrangian (L1) point of the Sun-Earth System. The orbit has an advantage to allow continuous monitoring of the Sun. Prime Minister Narendra also patted ISRO’s back saying the organisation has come a long way from the simple drawing board to the launch pads. He furthered his statement saying that our industry is now well poised and has become a vital part of our industrial eco-system. This new mission will help us in achieving our Make In India regime. 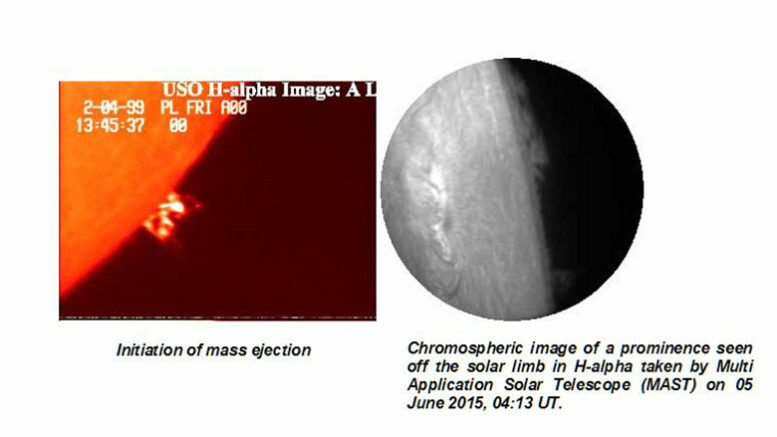 The main purpose of the Sun mission is to study the corona and to answer the questions on why corona gets so hot. The ISRO chief AS Kiran Kumar said that the agency is not exploring space for some adventurous tourism; it is yet to harness the capabilities of space technologies for the country. He further added that if private players want, they can participate in the growing global space market too. Currently, India has total 42 satellites in space and the chief told the press that they will increase the number of satellites per year from 19 to 20 now. Be the first to comment on "Studying the Sun is the Next Mission of ISRO in 2019"